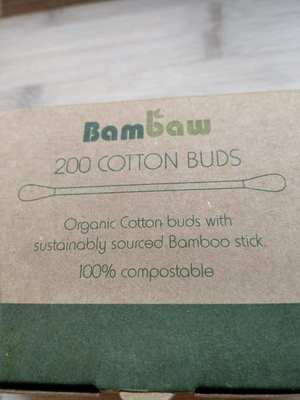 These cotton swabs are made from bamboo and soft cotton, thus 100% biodegradable. Both at home and while travelling, you can now choose these cotton buds as a sustainable alternative. After usage, you can dispose of the cotton swabs by simply throwing them into your organic waste or compost. They are packaged in a box made of recycled cardboard. 200 cotton swabs per box.